Developers have found a new way to eke a few more bucks out of you even after you’ve purchased a copy of their game. To expand the shelf life of their game, some developers release little packs of content, such as a few new multiplayer maps, weapons, or cars. These “microtransactions” as referred to within the industry are a growing trend, and I can’t say I’m pleased. Most content packs I’ve seen are pretty overpriced for what they offer. I’m not going to condemn all developers who utilize the microtransaction system, because many developers don’t overcharge for very little content. While anyone who’s ever played The Elder Scrolls IV: Oblivion likely remembers the horse armor fiasco, Bethesda has made up for it by releasing the rest of their far more worthwhile content for a much cheaper and more reasonable price. I wouldn’t say microtransactions are a really bad thing (even though I do not really support them) because the content they offer does cost money to produce, and I understand development costs are rising but I draw the line when developers begin abusing them. Recent examples of a developer (or in this case, a publisher) milking the system include EA’s Tiger Woods PGA Tour 07 content. The only way to unlock the “Sunday Tiger” is to buy him off of the Xbox Live Marketplace, and, while you’re there, why don’t you pick up a cheat code or two. Yes, you read that right. EA is selling cheats. Making the case for overpriced content is the Chapter 2 expansion for GRAW. For 1200 Microsoft points, you get eight “re-lit” maps, four new co op missions, a few new weapons and some other stuff, as outlined in the link I included above. You may be thinking, wow, that’s a lot of stuff and it is, but not for that price, especially since the new maps aren’t so new. They’re just “re-lit” meaning at different times of day. So wait, let me get this straight, I’m paying 15 bucks for five (WOW!) new weapons and a few reworked maps where all you’ve done is change the lighting? You have got to be kidding me. For die hard fans, this might be worth it, but then again, to those die hard fans, the developers could’ve charged more than just $15 and they would eat it up. A guy like me, who is only casually interested in the game, will say “nuts to that”. For about two months now, there has been a lot of controversy surrounding the Xbox Live Arcade game Lumines Live. The full game retails for 1200 Microsoft points, or about $15. Actually, I don’t think I should’ve used the word “full” when referring to the game, because what you get for that price is not the “full” version of the game. For that price, you get the “base” game. Key features, such as the majority of the VS CPU mode and single player skins have to be purchased separately. The “Advance Challenge Pack” has to be purchased on Xbox Live for 600 Microsoft points. Very disappointing. Therein lies a potentially huge problem. What if these microtransactions take off and developers decide to omit content from the final version of the game and sell it to you later for an additional five dollars or so? It seems EA is already doing that With the aforementioned "Sunday Tiger" content, but another developer seems to be abusing the system even more grossly. Polyphony Digital is doing the same thing in the upcoming Gran Turismo HD for the PS3. According to recent reports and rumors, in the final game, there will be only 30 cars and two tracks, none of which can be played online. To play the game online, you must buy additional cars and tracks separately. So what’s next? I’ll tell you. If gamers support these microtransactions, developers will take bigger risks, to see what they can get away with. If they succeed again, what’s next? Paying for gas in a racing game? Paying for ammunition in a first person shooter? You may immediately think, “oh hell no!” but that’s capitalism at its finest folks. These little microtransactions now potentially pave the way for that, and little by little, this is becoming a reality. The Nintendo Fusion Tour rolled into my neck of the woods yesterday, and a friend of mine and I decided to go. When we heard the Wii (a console we had already been very excited about) would be playable at the event, we knew we had to be there. Nintendo’s mantra as of late has been playing is believing, and after my first hand experience, I agree with them 100%. In my few short hours at the event, I managed to get some play time on Wii Baseball, Wii Tennis and WarioWare Smooth Moves. I would’ve played Metroid Prime 3, but the line was incredibly long. The Wiimote itself is definitely an amazing controller due to its motion sensing capabilities, but the first thing that became immediately apparent as the attendee handed me the controller, was the comfortable ergonomic design. The remote itself was smaller than it looked and felt natural in my hand. The B button sat perfectly above my index finger and the A button sat below my thumb. I instantly got a feel for it as soon as I began playing my first game, WarioWare. WarioWare was the perfect first game to play, due to the many ways it uses the Wii controller features in quick succession. The many microgames I played all used the Wii controller in different ways. One game involved holding the Wii remote sideways like a handle bar and pumping up and down to pop a balloon, another had you putting the controller on your head and squatting, and the final challenge had you holding the controller like a steering wheel and guiding a car along a track to the goal. The game itself was fun and made great use of the Wii remote. The next game I played, (after a rather long wait) was Wii Baseball, part of the Wii sports compilation that comes bundled with the Wii at launch. While waiting in line, we watched a few gamers ahead of my friend and I really got into it. We looked at each other, thinking we could never get that into it, especially in public. Well, once we got our hands on the controller and started swinging for the fences, we were just as immersed. Seriously, it’s just that fun. The two of us played simultaneously, one of us pitching while the other swung. It was incredibly fun, although it’s a lot harder than it looks. Your timing has to be excellent to score big. The third game I played was Wii Tennis, which was just as multiplayer focused as Wii Baseball. It was awesome. I liked the fact that it splits the screen to give each player an optimal view of the action. It was a very nice touch, and one I would like to see implemented in future tennis games. The controls were spot on, and actually felt like we were in a real tennis match (okay it wasn’t that real, but it was close). While playing I remembered reading that you could actually spin the remote to add topspin or backspin to the ball, I decided to try it out for myself. It works. Another plus to the realism and immersion. After playing these games, it’s clear that Nintendo is still the unchallenged king of the multiplayer game. Every Wii sports title I plated seemed like it was designed for multiple players, and they were all incredibly fun. I think my friend said it best when he said the Wii is the next generation of multiplayer gamplay. I agree with that on so many levels after my experiences. He and I developed a bit of a Wii Sports rivalry during our time at the controls. After he completely slaughtered me at Wii Baseball (9-0…) I took it to him in Wii Tennis, winning three straight games and the match, with a blowout round in there too. When the Wii launches, we’ll have our rematch at both. Stay tuned for updates on that. 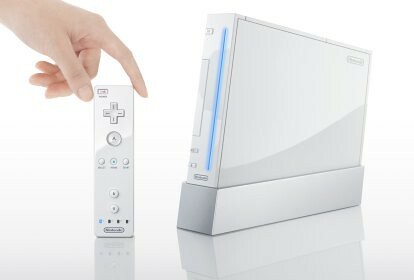 In the end, the Wii turned out to be even better and more fun than I originally expected. I will definitely be picking one up on launch day. I don’t think I can wait any longer. The worries I had about the Wii controller (lag between movement and on screen action and the novelty of the motion sensing wearing off quickly) were put to rest now that I’ve experienced it for myself. The only thing that would’ve made the already great trip even better was if I brought my camera. Ah well. I know a few of you might remain skeptical, and I can’t blame you. It’s hard to put into words exactly how much gameplay has evolved on the Wii. All I can say is wait until you play it. Reading about it and actually playing it yourself is totally different. I truly believe the Wii is ushering in the next generation of gameplay, and I can’t wait to play it again. If the Fusion Tour is making a stop in your town in the near future, go there. You’ll be blown away.